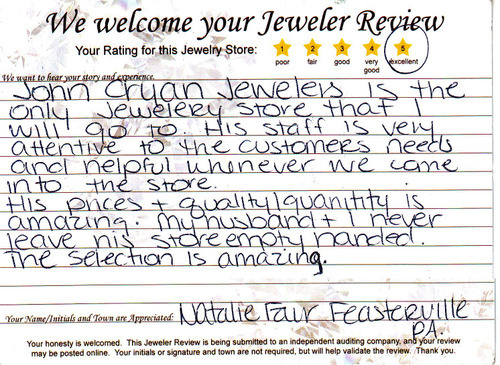 "The only jewelry store I will go too!" John Cryan Jewelers is the only Jewelry store that I will go to his staff. [They] are very attentive to the customerâ€™s needs and helpful whenever we [come] into the store. His prices & quality /quantity is amazing. My husband & I never leave his store empty handed. The selection is amazing.